Langley Horticulture attended Wests Wood Fair 2018 this year. As usual is was a very well attended event and we’ll be exhibiting again next year. 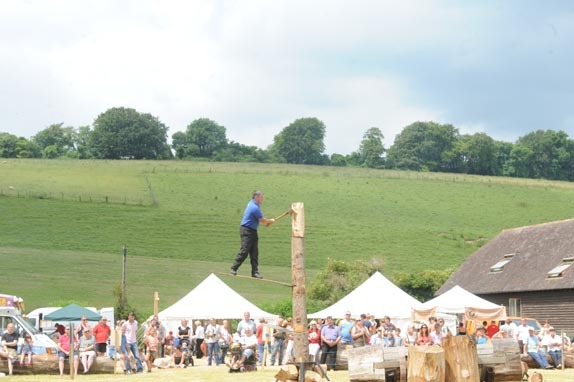 West’s Wood Fair is an event featuring the many interesting ways in which wood is used. Exhibitors include trade stands selling timber and other wood-related products and demonstrations such as hurdle-making, sawmilling, cider pressing and chainsaw carving. This year we also have a thatching demonstration. 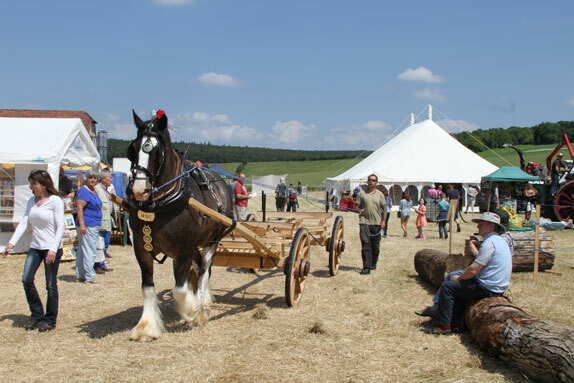 During the event we will have heavy horses pulling our wooden pole-waggon, a tractor and trailer ride into the depths of the forest, and we’ll be firing our ballista across the field. On Saturday and Sunday Adam’s Axe Men, the country’s best-known lumberjack display team will put on a thrilling and entertaining performance in the arena. There are activities for you to take part in, such as axe-throwing and archery. We will also be holding several competitions such as a Timber Identification Challenge with a top prize of £500, a Cant Hook Race for anybody wearing safety shoes and a Chainsaw Race giving one lucky person the opportunity to win a STIHL MS180 chainsaw supplied by DM Chainsaws. There will be a steam engine, and we will be opening our workshops and showroom for visitors so that you can look at our fine furniture and joinery and see some of our woodworking machines in use. There will be plenty of food and drink available, and The Woodturner’s Rest pub will be open and serving a selection of 10 Real Ales and our own Westie’s Bad Apple Cider which is made on the premises. Throughout the afternoon and evening there will be a range of live music performances from Mike Fry, Phil & Jane, Ben Pryer & The Lucky Dogs, The Why Band, Steve Williams and The Jim Hammond Duo.